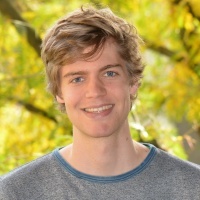 Paul joined the Interface Group in September 2015 for his Bachelor thesis in Mechanical Engineering. In the last year of his studies at ETH Zurich Paul has already come in contact with biomedical topics. Within 3 months of his project he refined the concept of a gas driven pump that in the end will allow a more controlled exposure of cells with flow in vitro. The system was evaluated and Paul found that some disturbances occur during the switching of the flow path. He investigated the causes of these disturbances and proposed possible solutions. These solutions will be explored in a future project. In the meantime, Paul moved on to do an industrial internship.